On March 29, Duke Energy Carolinas (DEC) and Duke Energy Progress (DEP) announced a filing with the North Carolina Utility Commission for the largest Electric Vehicle (EV) Pilot in the region, which would invest $76 million dollars in electric vehicle charging infrastructure. 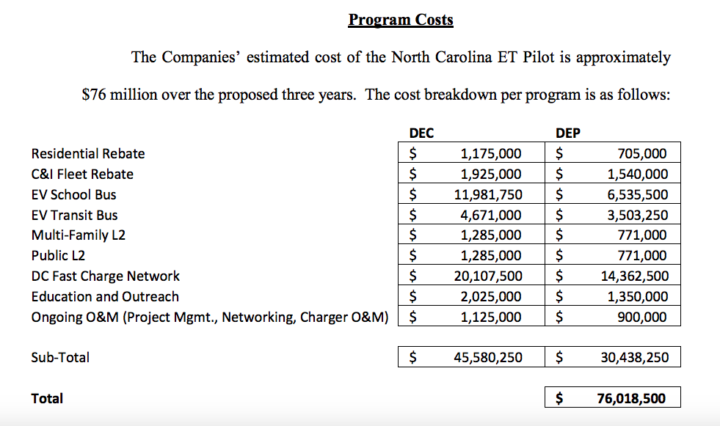 This proposal seeks to dramatically increase North Carolina’s charging network and double the existing fast-charger network in the Tar Heel State. Already, as a result of the Volkswagen Settlement Environmental Mitigation Trust, North Carolina has established a zero-emission vehicle infrastructure program, as well as several other complementary programs. And in 2018, North Carolina’s Governor Roy Cooper issued Executive Order 80 to address climate change and transition to a clean energy economy and included EVs as a cornerstone of his plan (discussed in greater detail here). Achieving Governor Cooper’s ambitious EV goals will require a tremendous build-out of electric vehicle charging infrastructure. Duke Energy’s proposed pilot takes steps toward establishing the needed infrastructure through seven programs, grouped in three ‘buckets’ that would each substantially grow the number of charging stations available across DEC and DEP’s coverage areas in North Carolina. Utilities across the country have begun to recognize the fact that mass EV adoption is coming to the U.S. Every major auto manufacturer has announced major EV production schedules and the market expects over 125 new models within the next five years. Preparing resilient infrastructure is critical, and utilities are in the driver’s seat with a unique opportunity to help design and build smart charging systems. Evidence shows all electric consumers can benefit from this increase of electric vehicles, not just EV drivers, so by getting on board and facilitating EV infrastructure development, utilities can help all their customers. This announcement is an exciting development and it will be important to analyze the details. SACE will continue to engage in the process and push for smart, equitable programs that promote and advance the development of EV markets and infrastructure for our region. 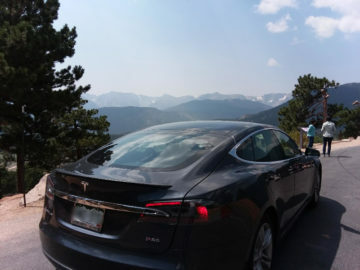 Click here to learn more about our work on electric transportation, and join us in supporting programs that connect vehicles to the electricity grid and expose consumers to EV technology and availability.